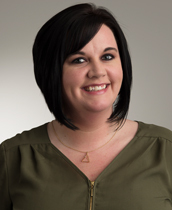 Universal Development & Construction (UDC) is pleased to announce that another property manager, April Street, has completed the requisite coursework and training to earn her CAM certification. Property managers are encouraged to pursue advanced education to augment their skills and increase their knowledge of the laws and regulations affecting the multifamily housing industry. The expertise gained in programs such as the Certified Apartment Manager or CAM provides property managers with specialized, practical skills they can utilize each day to provide the best experience possible for our tenants.